The LG incorporates the very latest technology with the aim of ensuring an efficient, productive solution that guarantees optimum-quality machining. It is equipped with a CNC-controlled follow-up steady rest that guarantees optimal roundness, even in the slenderest of parts. DANOBAT has a team of highly-qualified design, process and project professionals who work in close collaboration with customers, listening closely to what they have to say in order to understand and adapt their machining solutions to their specific needs. 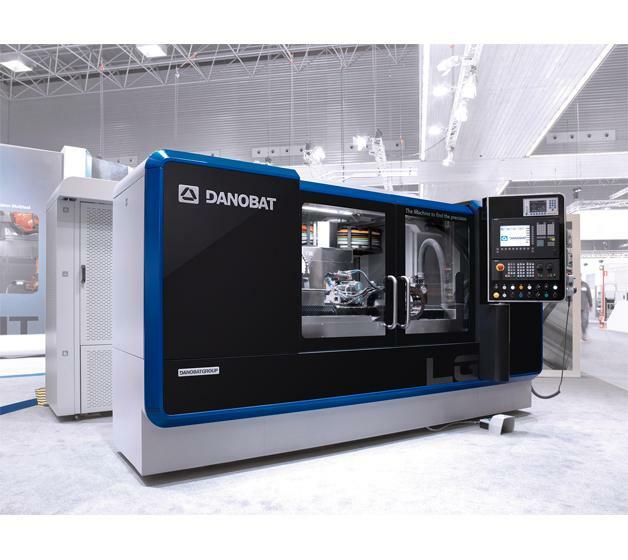 This cooperation has enabled machine tool manufacturing experts to develop the DANOBAT LG-1000 grinding machine. The LG-1000 is an efficient, productive and ultra-precise grinding machine that offers a high degree of customisation and guarantees excellent machine availability. The LG range has been developed for the manufacture of highly complex parts such as hydraulic precision components, automotive parts and cutting tools, as well as cams or components with eccentric diameters. This range of grinding machines offers extraordinary levels of precision and repeatability due to the machines' natural granite beds and linear motors, as well as to the incorporation of glass scales. The wheel head, which is equipped with cooled electro-spindles, can reach a maximum peripheral wheel speed of 120 m/s, thereby covering the range necessary for grinding with both conventional abrasives (45-60 m/s) and super-abrasives (20-120 m/s) at maximum torque. Thanks to its wide variety of different wheel head configurations, the range provides the perfect solution for any customer process. In specific terms, the LG-1000 presented at the INTEC, Leipzig last february is a horizontal external grinding machine capable of grinding parts with a maximum between-centres distance of 1000 mm. What sets this grinding machine apart is the versatility of its B axis, which is equipped with various different wheels and can incorporate a diverse range of accessories, including measuring devices and super-finish stations. The B axis is driven by a built-in motor, which ensures extremely high position precision. The grinding machine presented at the trade fair is equipped with a CNC-controlled follow-up steady rest, a system which guarantees optimal roundness, even in the slenderest of parts. The LG-1000 also incorporates user-friendly customised software called DANOBAT DoGrind, which has been developed in-house by the firm's engineering department. Another advantage offered by the LG-1000 is that it is equipped with a number of extremely strict pre/in/post measuring devices designed to ensure optimal results, every time. DANOBAT has also developed its own measurement systems, including contactless and broad-range laser measurement systems. In order to satisfy each customer's specific demands, DANOBAT's philosophy is based on close company-customer collaboration and the company seeks always to develop solutions that fully adapt to all needs and requirements. The various customisation options on offer, such as the broad range of wheel head configurations, measurement systems, super-finish units, automatic loading/unloading devices, clamping systems, fixed and mobile tailstocks and dressing devices, among others, enable the development of a comprehensive, tailor-made solution for each and every customer.